The Quicksilver Group provides a range of special facilities designed to cater for wheelchair passengers. While every attempt is made to ensure these facilities are available, due to operational consideration some facilities may not be available on the desired day of travel. It is important that all wheelchair passengers are fully briefed prior to joining a cruise. 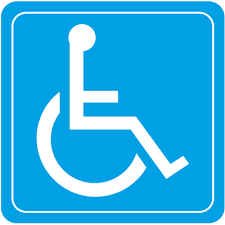 When making a booking please advise our reservations staff at the time of booking if a passenger uses a wheelchair as it may be necessary for our staff to contact passengers to ensure the best option on the day is provided. Our primary vessel Quicksilver VIII is the most suitable vessel for wheelchair passengers. There are occasions however when this vessel may not operate and back up vessels are used that do not have wheelchair facilities. This is often not known till 24 hours prior to departure. We recommend guests call the office 24 hours prior to travelling to confirm their details. On Quicksilver VIII there is an oversized toilet cubicle suitable for most wheelchair passengers. This toilet is endorsed "CREW ONLY" to restrict access. Quicksilver V also has a wheelchair accessible toilet. A chair lift enables disabled passengers to be lowered into the water to enjoy snorkelling. This is available only on the Agincourt 3 floating platform. At the Outer Barrier Reef there are ramp facilities from our vessel to our floating platform, however access to the underwater observatory, swim platforms and our semi-submersible coral viewing vessels is by stairs only. Our wharf facilities in Port Douglas have boarding ramps that are suitable for wheelchairs. Wavedancer Low Isles Cruise is not suitable for passengers confined to a wheelchair. Silversonic and Poseidon are not suitable for passengers confined to a wheelchair. Green Island is accessible for wheelchairs. While we have a number of different vessels that transfer to Green Island not all provide wheelchair facilities. Depending on tides and weather conditions, gangways from the vessel to the jetty are sometimes too small for a wheelchair and will at times have a few steps from the end of the gangway to the jetty. The gangways are able to accommodate standard sized wheelchairs, however larger motorised wheelchairs may not be able to be accommodated. As there are 3 departures daily with a 45 minute travelling time it is necessary that guests contact our reservations staff 24 hours prior to travel to ensure the most appropriate departure times are provided. Disabled toilets are available on the island. Please ask at the information counter for their location. The Vessel Reef Spirit has a disabled toilet, however it's located on the lower deck and may not be accessible if boarding is from the upper deck (tide dependent). A stairway is the only onboard access between the decks. There are wide paved or timber pathways throughout the island allowing wheelchairs to move around the island and through the island facilities. The sandy beach, which allows access to the water, is not accessible by wheelchair. The glass bottom boat is only accessible via a number of steps. For an Outer Reef experience, we recommend our Quicksilver Outer Reef Cruise, however the following is provided for your information. No wheelchair accessible toilet is available on the Reef King. There are no toilet facilities on the platform. At the Outer Barrier Reef there are ramp facilities from our vessel to our floating platform. There are no disabled facilities on the platform and the platform does have decking where wheelchair wheels may get stuck. Access to the underwater observatory, swim platforms and semi-submersible is by stairs only. Great Adventures vessel "Reef King" does have a motorised chair lift to enable transfer between the upper and lower decks, however the passenger will require some mobility or assistance to transfer from their wheelchair. There are occasions when this vessel may not operate. This is often not known till 24 hours prior to departure and we recommend calling the office prior to travelling. Silverswift is not suitable for passengers confined to a wheelchair. If a passenger is using their own specially designed vehicle, self-driving to the Cairns Reef Fleet Terminal (Great Adventures or Green Island) or the Port Douglas Port Douglas Marina (Quicksilver) is the best option. Normal coach transfers are available for passengers who are self sufficient and able to with assistance negotiate 3 stairs on and off the coach. The height from the ground onto the first step of the coach is approximately 300mm. For wheelchair confined passengers, a wheelchair taxi can be booked on your behalf to Port Douglas or Cairns. Quicksilver / Great Adventures has a specially negotiated fare with these companies, and payment can be made direct on the day. Quicksilver's wharf facilities in Port Douglas have boarding ramps that are suitable for wheelchairs. If a passenger is using their own specially designed vehicle, self driving to the Marina is the best option. Port Douglas does not have a wheelchair taxi but a taxi can be booked on your behalf and payment can be made direct on the day. As motorised wheelchairs do not fit in the coach luggage compartment, special transfers must be booked or passenger's own vehicle used. Manual wheelchairs are available in Port Douglas for day use. To hire a manual wheelchair in Cairns please call the Cairns Pharmacy on (07) 4052 5260.